« Siesta Scripture Memory Team: Verse 4! Our DVD Giveaways and SSF Update! Nominated by “Lisa” – Reach Out Christian Chapel in Eatonton, Georgia! Nominated by “Laurie O’Connor” – Hopewell Baptist Church in Milton, Georgia! Nominated by “Kat Murray” – Sligo Baptist Church in Silver Spring, Maryland! Nominated by another “Lisa” – Harmony Bible Church in South Thomaston, Maine! Nominated by “Beth” (not me) – Pinnacle Church in Canton, North Carolina! We are thrilled to send each of these churches a leader kit (all the DVD’s) of Esther: It’s Tough Being a Woman. We’ve chosen the most recent series in hopes that they don’t already have a set. Several of you were so gracious to offer to send back DVD sets that your church has already completed to LPM so we can recycle them but rather than double the shipping, Linda, our accountant, suggests that if you have material to share, go back and look at all the nominated churches and ministries in the comment list to the “Siesta Scholarship Fund” post and find one in your area or State. Get in touch with them and see if they’d like to receive it and, if so, send it on its way with the joy and blessing of the Lord! We are beside ourselves to see your enthusiasm to share and to donate materials. May God invest back in your life and church 100-fold! TEN SCHOLARSHIPS to the upcoming “Living Proof Live For Ministers’ Wives” in Nashville, Tennessee at Two Rivers Baptist Church on March 13-14, 2009. We can’t think of a more important ministry that we get to take part in. Who on earth could use more encouragement, love and high esteem than our ministers’ wives? We learned from our LifeWay event team that the financial crisis in our nation has caused so many churches not to be able to pay their ministers’ wives way as they did several years ago when we had well over three thousand in attendance. (The event itself is $60 then there is the expense of going and staying. It’s simply too much for many – even most! – to afford.) Because of our brand new Siesta Scholarship Fund, at least ten will be able to attend that could not otherwise afford it. If you wish you could further participate in some way, if you learn that your minister’s wife would like to attend but can’t afford it, your Bible study group might consider taking up an offering to help. This might be especially helpful for those that can drive to Nashville and save the expense of a flight. You guys are the best. Incredibly thoughtful. I will keep you updated on our giving but will, again, not let it take over for fear you’d feel pressured. We’ll keep the thing the thing. I am so honored to serve Christ with you, my dear sisters. I am humbled by your servant-hearts and by your giving spirits. I pray that God is so pleased with what He finds in this community. Onward in His great Name! This entry was posted on Monday, February 16th, 2009 at 7:13 pm	and is filed under Uncategorized. You can follow any responses to this entry through the RSS 2.0 feed. You can leave a response, or trackback from your own site. I sooooooo badly wanted to be at this year’s event for minister’s wives. My Bff went to the last one and said it was the best conference EVER!!!! This past year was a doozy (ministry-wise) for my family. My husband resigned from a very unhealthy churh. We know it was the right decision….but then he sat for 4 months unemployed. Devastating to our family of 5 (3 of which are teenagers). It has been very difficult bouncing back financially and emotionally. I would be honored to win a trip to the year’s most fabulous event! I heart you LPM and Beth Moore!!!! Thank you for both the conference for minister’s wives as well as for giving scholarships for it. I’m hoping to be there! The $60 isn’t impossible for me to come up with, either, but the feeling it gave me…”Yes, we know it can be hard to be a minister’s wife, and yes we know this has been a hard year for you, but we’re not really in the business of supporting you” was what stung. They did say they’d think about creating a fund for things like this in the future, but the fact is, there AREN’T many opportunities for minister’s wives. So THANK YOU for investing in us!!! Can we nominate someone and how? My pastor’s wife, is also my dearest friend. She is a mentor to me and so many more, shouldering her own burdens as well as ours. She and my pastor have been hit with illness, surgeries and family issues for the past three years, and yet have continued to serve so faithfully. She leads our women’s ministry and Bible studies and has led so many of us to a closer relationship with Christ. 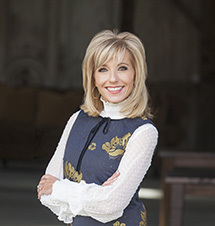 She actually introduced us to Beth Moore studies at the beginning of their ministry with us. She truly is a godly woman who loves Jesus with all her heart and desires so desperately for others to come to know Him as their Savior. Praise God for your wonderful ministry and the generosity of all of these Siestas! I am so blessed to have attended the last pastor’s wives conference and am planning on coming to Nashville. I can hardly wait! Is there any sort of Siesta gathering? Would love to meet some of you girls! Here’s what we do with the studies we’ve done. I have one niece whose husband is in seminary and one whose husband is a youth pastor. I pass the DVD studies on to them and they use with the women they are connected with- then they pass them back and we share with other ladies that might not be able to afford them. I have three nieces who are doing studies right now that would not have been able to get then on their own. Is GOD good or what? Thought I’d share this with others in case they have extended family or friends that they could do the same with. I am not sure you will ever see this but I want you to know how very blessed I am by your blog, by your ministry and your studies. I have been to several LPL~ I’ve done several of your bible studies. I’ve listened to stories of the girls, Jackson, Keith… and now your precious NEW granddaughter Annabeth! I am honored to be involved in this ministry…. I thank you for all you do and continue to do. I am facilating the Esther study at our church. It is a small group… I feel so inadequate.. but I love your studies. Sometimes I have to read it twice. We live in Ga… I am the mom of 6 children. My husband and I have been married for 28 yrs. I am not a grandma yet but looking foward to it in the next few years. Our oldest is married… I am an older mom (47) so maybe a grandma by the time I am 50! I love you, Beth. I feel connected to all of you. I feel so blessed to have learned about LPM and the Bible studies. I feel like my life has been rejuvinated. I worked for 23 years in positions from childrens director to Christian Education to families Minisries Leader. Never was there money for these positions to go for a day much less a weekend to be filled up. You know you can only pour out so long before you must refill. Bless you for you do that on a daily basis. I have completed 2 studies and am beginning the 7th week of the Patriarchs. My faith feels like it did when I first accepted Jesus with the exception I have been taught a lot more than I knew then. I long for the day that I can look at you face to face and tell you how much you mean to me. Keep on keeping on. You are in my prayers each day along with the LPM staff and families for protection from attacks for I know the message you share is not one he wants out. Robbie Comer, her husband is on staff at my dad’s church. He is only paid part time b/c the church is a church plant in Tupelo, MS.
I’ve been a lurker around here for long enough….I’ve just set up my own Blogger site now!!! Beth, I am a minister’s wife and am so looking forward to our time together in Nashville. My church’s ladies group offered to send all the “staff” wives and we were so grateful and humbled. I want to tell you thank you so much for the Esther study — GIRL! I am LOVING it! We just watched session six today. I about came unglued when you said, “GP, are you with me?” Being somewhat of a Kirk Franklin fan, I was immediately “with you”. Well, since we offer “Esther” on either Monday, Wed or Thursday night AND Tuesday morning, most of the ladies that come on Tues morning are older. After the video was over, I was telling them about Kirk Franklin and I’m not sure anyone believed I knew what I was talking about or even “got” it. It was so funny! They kept trying to come up with things you meant by GP (group of people, even). I am definitely taking my CD in to Bible Study next week!! What a hoot! I had to call my college age children to get some understanding! Don’t you just love Bible study!? Would this conference for pastor’s wives be something that is applicable to women in ministry also? I think that women who are actually the ones on church or denominational staff often are overlooked when it comes to events for women. And they have GREAT need for spiritual encouragement and teaching. I can’t wait for the minister’s wives conference! I am blessed to be able to afford to attend. Beth, I just wanted to tell you quickly how much your teachings on ‘Life Today’ have helped me so much. I NEEDED those words. It seemed like just when I needed them, they were there thanks to you. The Last Epoch-a TV show for the scientific faithful. I am sorry this is a bit off topic, but I didn’t want to take up the memory scripture space, but I really felt like I couldn’t hold this back any longer. I am just so Blown AWAY by all the beautiful scripture each and every person on here is committing to memory. This is a HUGE testimony to me…God’s Word really does not come back void. It really encourages me to stay the course, just from what I see demonstrated through all these amazing people…it’s soooo WORTH IT. Ok, I have a question in regards to the scholarships. What exactly will it cover? Will it include flights and hotel rooms? If not is there a way that we who have air miles or room points can donate them to the scholarship fund to pay for this? Or maybe set up a way that we can help with this portion. I think that it is wonderful that God has used Beth and LPM to start this scholarship program. I can not wait to see how our Heavenly Father takes this small offering and ministers to women all over the world. YOu have to go to Fran’s website right now and see what she is doing. It is stinkin’ hilarious right up your ally. Blessed by Him is her site and she has a Starbucks GC up for grabs for the one who make her laugh the hardest. I have been sitting here laughing at the comments for 20 minutes!! A friend sent me this comment and I wanted to share. This may not be the right way to get it to you, but wasn’t sure. Our internet service has been down since I entered our little church into the drawing. Just this afternoon the technician came to fix things. When he had done what he needed to do, he called me to the computer to try things out before he left. He stood behind me as I sat down to check out the Living Proof blog for the drawing results! How excited I was to point to my entry as a drawing winner for our church! I didn’t know witness of the results would be an internet technician, but hey, God first announced His Son to shepherds, didn’t He? Thank you for your generosity Living Proof Ministries. God will use the Esther study to make more room for Himself in and through the state of Georgia! note to Melissa: Would you think about blogging on some of your favorite theologians, church fathers, commentators or teachers sometime? I really like to hear your heart-responses to people and events so i’d love to hear whom of those you read and studied in school were among your most memorable …of course always keeping in mind John 5:39,40!….thanks ! Hello, I am Misty Middleton. I am currently in the Bible study Esther. We have had a rough start. Our first week we had an ice storm, the second week we did the intro and the thrid week we had a F4 torando. Please follow as you wathc women rise above all odds and find what God is wanting to say to us! Here is the blog I set up about our Bible Study! I agree with the poster who suggested that seminary wives need help, as well. Having been in seminary, and have a son and precious daughter-in-law there now, I know how much they cannot do because of a lack of money. These precious women also have the added stress of a husband who is working and studying and has little time to spend with his family. Consider these women…I am! I’m so glad you’re doing another minister’s wives event! You have no idea how you touched me when you made a fuss over the baby in the crowd (it wasn’t mine)@ the Chatt. minister’s wives event – you probably don’t even remember. But, when my children were little I had to miss several “church” functions because of the lack of childcare and I’m sure you know nursing babies aren’t always welcome… That’s not the only thing that spoke to me that wkend. That was an extremely difficult time in our ministry and through that event I was able to refocus on what we’re to be about and “hang on” through that STORM. I’m curious about the Lifeway comment on churches not paying for their minister’s wives to attend this time. I don’t know of any area churches that paid for their wives last time or this time. There is such a need for this kind of encouragement and support among minister’s wives that the group of ladies I’m going w/ this time feel the same as the group of ladies from before – guilty for using money from our family’s “budget” but know we NEED this time away to refresh and renew. Thanks for you willingness to serve us by using the gifts God has blessed you with. It’s always been my prayer that the Lord will continue to richly bless you Beth, your Living Proof Live staff, your families and your ministry; to bless you with His continued annointing on your ministry, your studying, your preparing and to bless you with what you need to accomplish it. It thrills my heart to see your ability and your heart to give, knowing that you are giving from the abundance of the Lord and His blessings on you and your ministry. I am a minister’s wife and a ladies bible study facilitator. I absolutely love doing and being both. It thrills me to see a new lady show up at our Monday night bible study who has never in her life ever studied the bible much less been a part of a group study. We had a young lady this past Fall for her first ever study and she was one of our ladies with perfect attendance! I want to thank you, Beth, and your staff, but mostly the Lord for bringing the annointing that is so clearly upon your life. These studies have blessed my life and the lives of many of my ladies at my church and in the community surrounding my church. But, obviously from reading these blogs, your impact is very, very large and I praise God for using you to bring us to a greater knowledge of Him and a deep, deep desire to want to study His word. That’s what you’ve given me and I thank you for it. You make it amazing, life-changing and FUN to study God’s word. I also want to say that we are one of those churches who can’t always afford the materials but we have a community of churches here in this area who are gracious to share with us; we’ve shared our materials with others as well. Thanks again for caring so deeply about getting God’s word to all of us and sacrificing from your abundance in order to make that happen. I never knew that you all did a minister wives retreat, oh I would love to go to that!!!!! Where can I find more info. My hubby is a student pastor at a large church in Chandler and I would love to come to your retreat. Beth, I am doing Esther and it is amazing! Girlfriend I love what you teach us through God’s word!! I was wondering if you would consider giving any scholarships to the Deeper Still conference in Greensboro, NC. We have several from our church going, but I know of at least two who would like to go but cannot afford it. One of the ladies husband has been out of work for months due to a severe car wreck. She has been forced to return to work at minimal pay to support their family. If so, please contact me at cwood04@gmail.com. If not, I completely understand there must be limits and procedures for this type of fund. I am sure if God wants them there He will make a way. Thank you! Just wanted to share how this study…years down the road has helped me today. Thanks to you Beth and Living Proof Ministries for allowing God to use you.